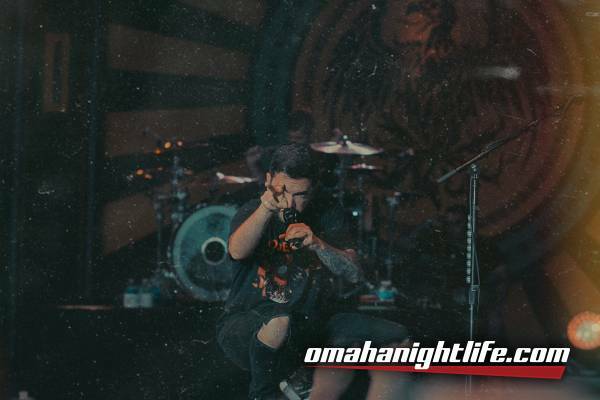 Mammoth Productions and SumTur Amphitheater were ambitious and decided to have their first all general admission high profile metal show by brining A Day to Remember and Wage War to Papillion. Many people filled the standing only front, while the seats and lawn were in the back. Usually a more calm environment for shows, this one was full of moshing and headbanging. People were crowdsurfing and, unfortunately, were getting kicked out, as this was a first for Sumtur. I think they could’ve used more security for the crowd surfers, but anyway, it was all about the music, so let’s get to the review. Wage War was the direct support for the night. They are from the same town as A Day to Remember, which is Ocala, Florida. What a great opener they were. So heavy and melodic. They are currently on tour in support of their new album that was just released this year on August 4, Deadweight. They opened up with “Stitich”, such a hard hitting, fast song. Briton Bond’s, unclean singer, voice hit like a freight train. Seth Blake, lead guitarist, shredded some tasty licks. Cody Quistad, guitarist/vocalist, sang his heart out. The crowd gave them a warm response, moshing like they were the headliner. A good amount knew the lyrics, which gave them a good Nebraska welcome. They finish their set with “Twenty One”, a perfect blend of melodic and heavy. What a great start for the night to warm the crowd up. Finally, it was A Day to Remember time to hit the stage. They came out on stage to Wagner’s “Ride of the Valkyries”, so we all knew what we were getting into. They opened up with “All I Want”, a perfect song to get the crowd fired up. While I was watching them perform, I was noticing Jeremy McKinnon, singer, not looking to pleased, assuming he was not liking how security was handling their fans. I was kinda surprised he didn’t address the issue over the PA, as it was solved quickly. They really have a fun time on stage. They shot out streamers, shot t-shirts from a t-shirt cannon, and even threw toilet paper into the crowd. It was more of a party than a concert. They are on tour in support of their latest album that came out last year, Bad Vibrations. For a band that’s been active for almost 15 years, they look they are never slowing down onstage. They ended their set with probably their most well known song, “The Downfall of Us All”. Their blend of pop punk and metal is one that is catchy and heavy that resonates still to this day. 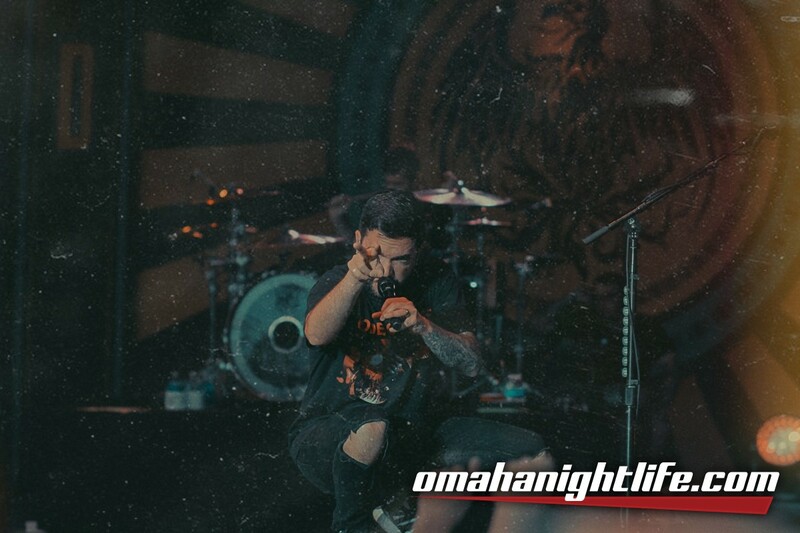 Let’s hope that Sumtur and Mammoth books more bands like A Day to Remember and changes their safety procedures, but overall, great showing by both bands.